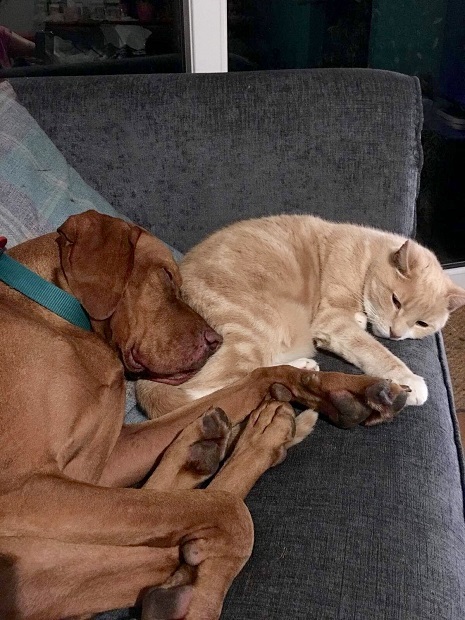 17/2/19 – Ozzy has found a home! 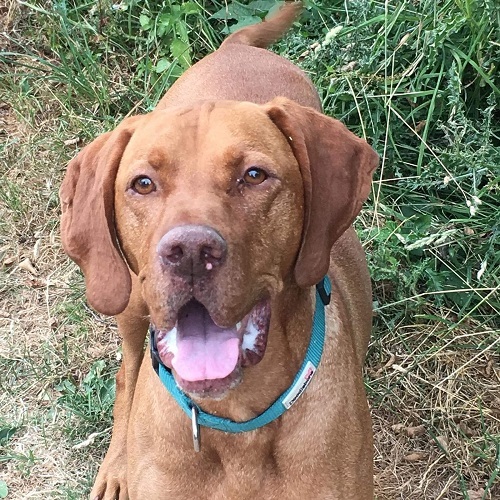 Ozzy is a fit and healthy 8 year old Hungarian Vizsla who is being rehomed by Hungarian Vizsla Welfare Charity and is in a foster home in Staffordshire. 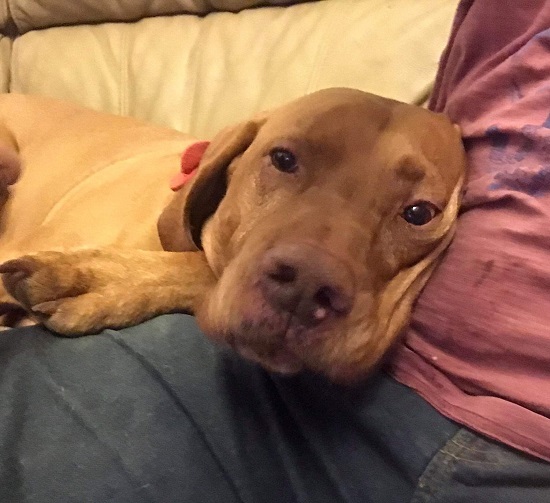 Ozzy is a happy lad who was previously rehomed by HVWC in early 2018. Unfortunately, due to an unexpected change in his owners’ circumstances, he is back in rescue, waiting for a forever home. Ozzy could live with dog-savvy children aged 11+. He is living in a foster home with three other dogs, and he is usually friendly with dogs he meets when out and about. He can happily live with cats and will just need a careful introduction and a bit of vigilance for the first few weeks. Like most dogs who live with cats, while his own cat is part of his pack, unknown cats are still fair game for chasing! 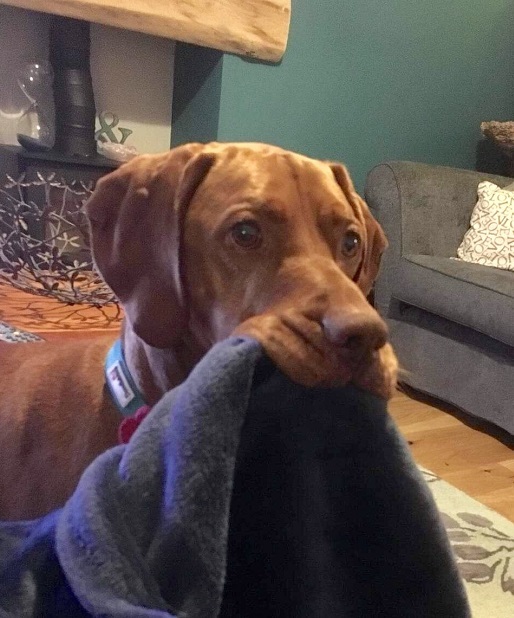 Ozzy previously had some minor issues with resource guarding, but his latest owner worked very hard with him and he is now a reformed character and very biddable. He has also been fine when his foster carer has gone out for a while. Ozzy loves balls and blankets, and will carry either around all day. Ozzy is generally well-behaved and good-natured. He has good recall and he usually walks quite nicely on the lead when he’s calm and not over-excited. 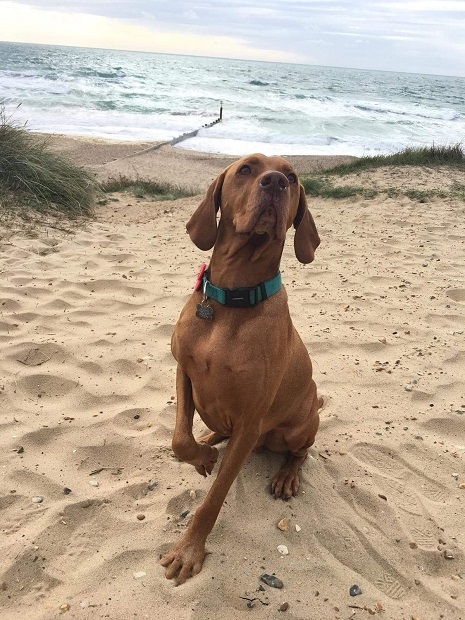 He loves the beach and enjoys paddling and splashing in the water, but he doesn’t like the car and can be quite a noisy passenger, however with the correct training this is usually a fixable issue and HVWC will be happy to give advice and recommendations on helping him, if required. Ozzy is neutered and vaccinated. HVWC rehome nationwide. A homecheck will be required and an adoption fee will apply. Could you offer Ozzy his forever home? Please mention that you saw Ozzy on the Oldies Club website.